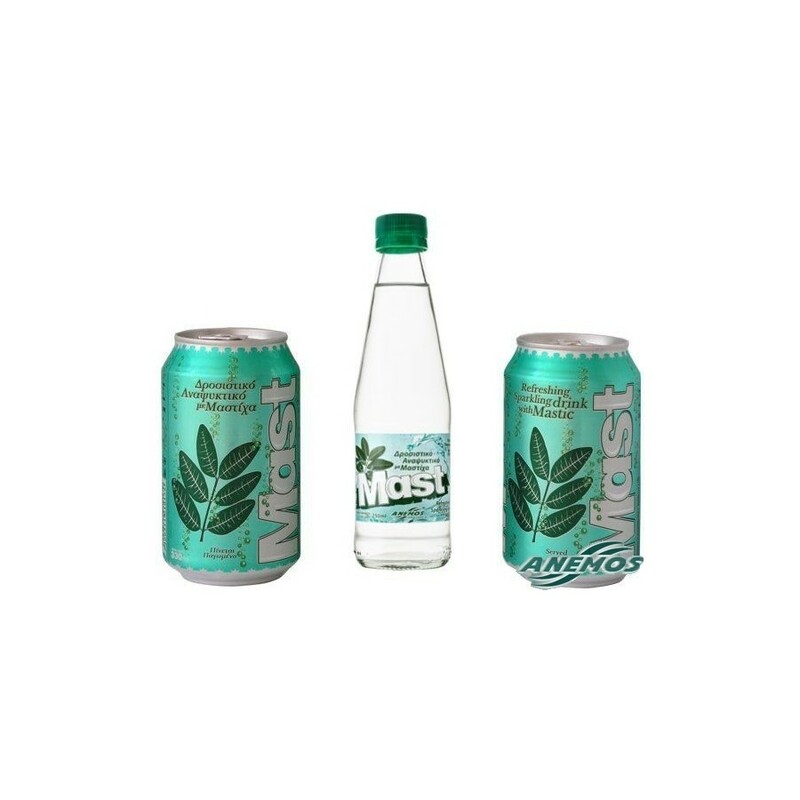 Carbonated, refreshing, soft drink with natural mastic. The first -and only one- in the world. 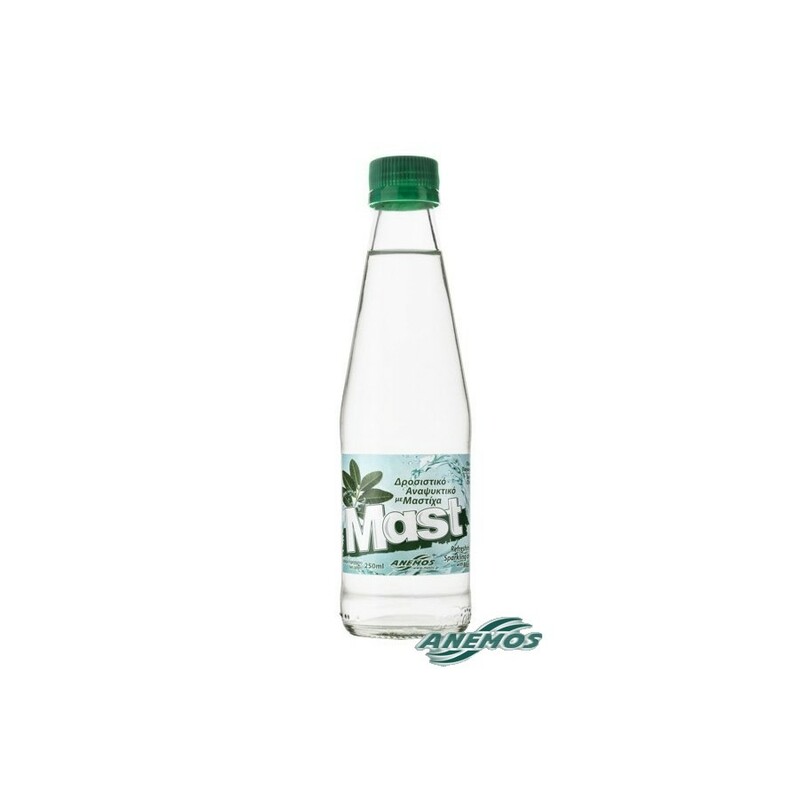 With the distinctive mastic taste and the beneficial properties of mastic. 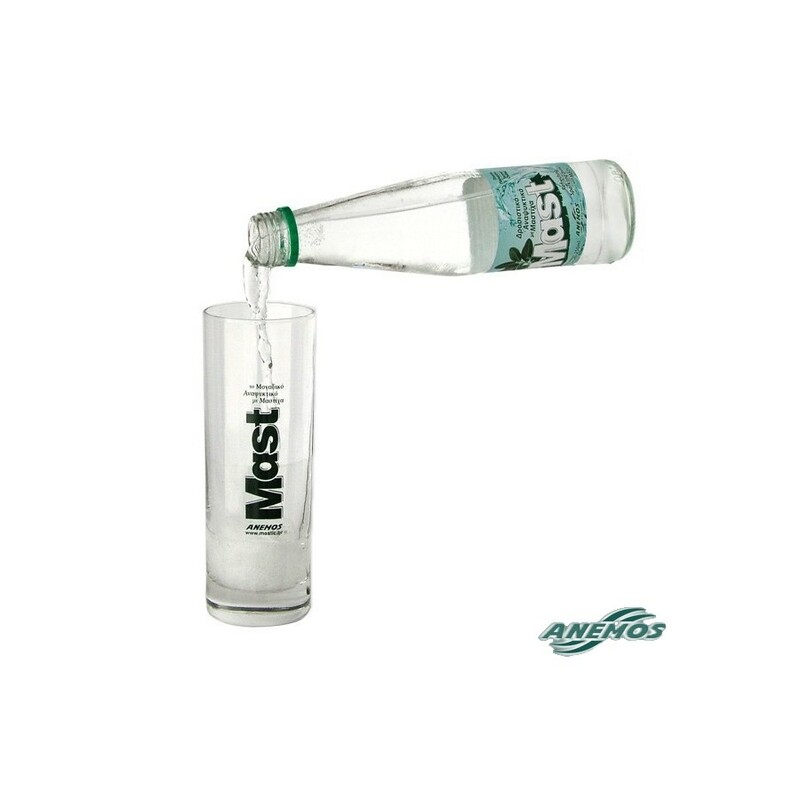 Online orders: Sorry no ordering of Mast in glass bottle is possible. Due to the nature of the drink (liquid) and its weight and the danger to break, it can not be sent by post or by UPS. You may choose the tin which is a bit safer to be sent.